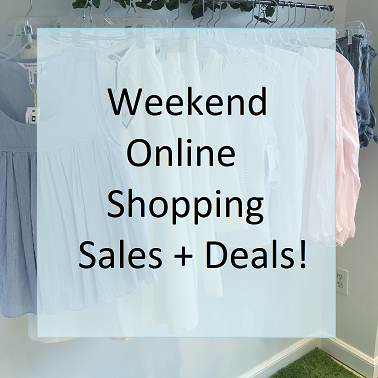 Weekend Shopping List: Sales & Deals! Anyone who says money can’t buy happiness doesn’t know where to shop! Whether you’re getting a Father’s day gift or treating yourself, check out these fab weekend sales and coupon codes! How cute is this shell tile? It’s just $11 right now! These seafoam green elephant shorts are too cute to pass up! Plus, the price is right at less than $25! Hope these savings inspire some serious online retail therapy this weekend! Comment Challenge: What additions could your closet use this weekend?